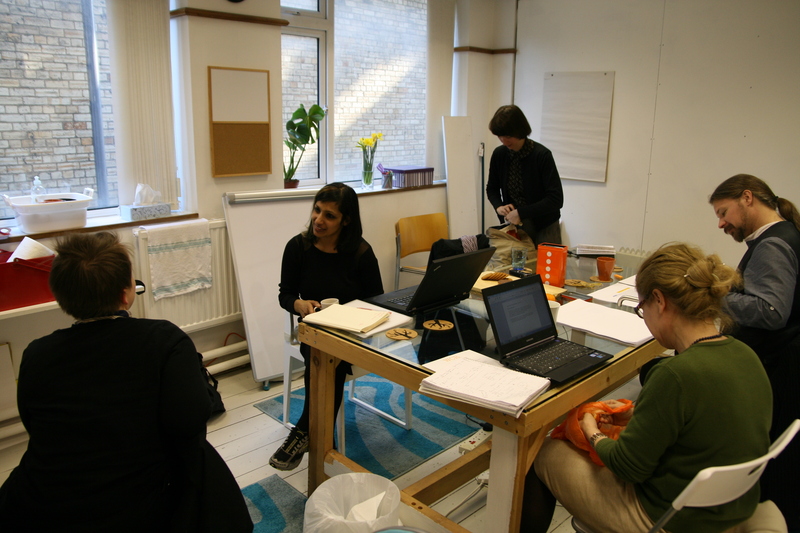 “I don’t mean to be cheeky, but do you make money doing what you do?” This was one of many questions posed this week that led to even more insightful and challenging questions this week at Working Culture Residency. Gathering around representatives of funding bodies, freelancers, curators, filmmakers, book shop producers, editors, and more, discussions arose around how we in the sector actually survive. The truth is, many of us wear several different hats. Some days we are admins, some days we are makers; some days we represent one agency that can’t afford to hire us full time, while the next day we are teaching at the university. How and why do we do it? The answer to that will be just as varied and complex as those of us that make up the sector, but the one thing that seems to unite everyone in the WCR room is passion and drive. You need to have both to survive. You need a lot of both to excel. Another common theme amongst the WCR participants is the desire for flexibility to be able to do the creative work that we feel is so important. Working in this line of work requires the ability to self-organise and self-start. There is no one path that we follow – we create our own. It’s a DIY kind of thing. That’s where this project is getting interesting. Not only do the conversations reveal the unique paths we have each taken, but the participants are shaping the WCR project each day. The dynamics shift with each person that takes part. Participants are moulding the project to reflect their needs and interests. It just gets richer and more complex every day. Thursday Feast lives up to its name this week at WCR! 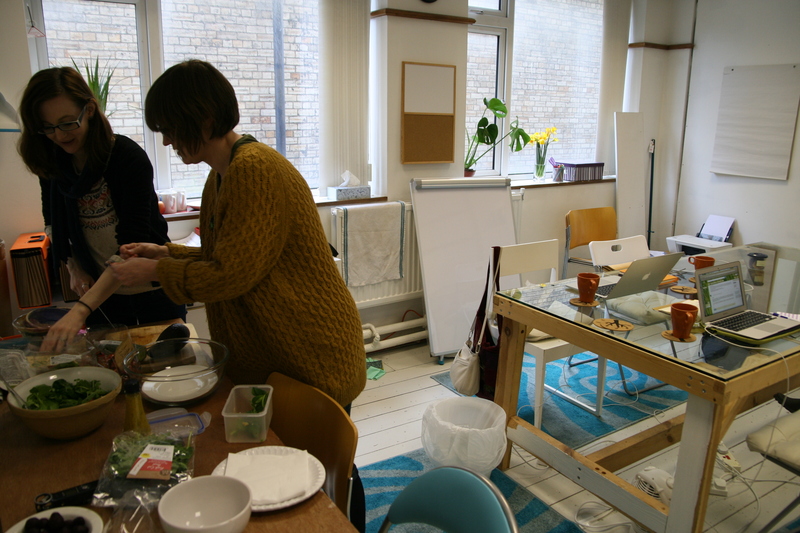 It’s not all hard work at Working Culture Residency – sometimes we do stop for a fabulous spread, and even better company and conversations! The kettle is on and discussion is happening! We are taking reservations for spaces in April. Drop us a line and book your space! Really, we get a lot accomplished! 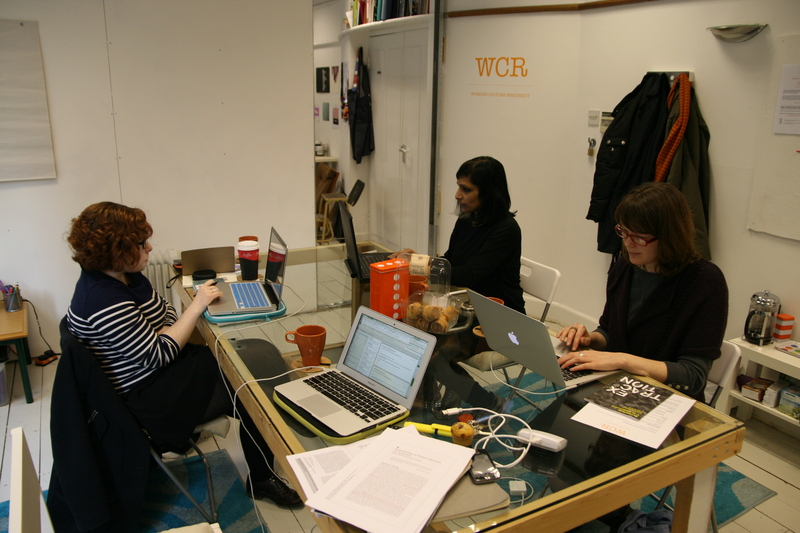 Post-Fordist ideas, knitting, new jobs, pancake recipes, applications, sustainability, place-making, festivals, hot dogs…and this was just Week 1 at WCR. 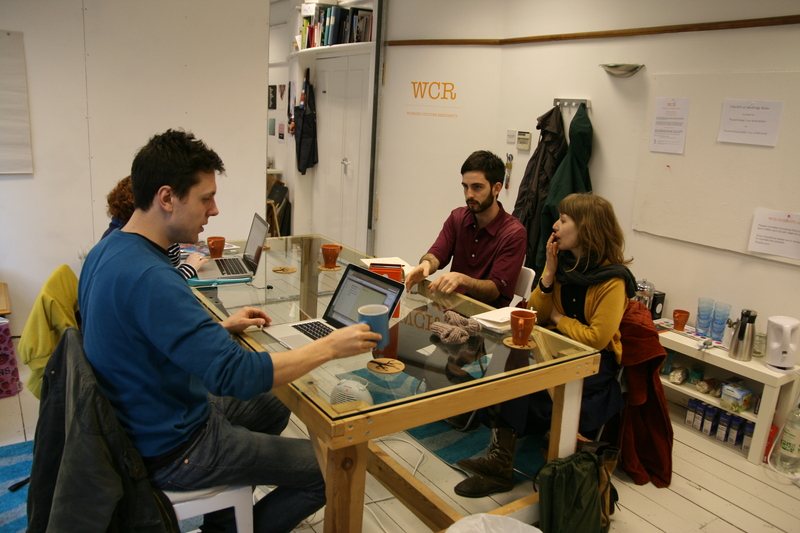 Working Culture Residency has been a hybrid of late 19th-century philosophical salons, an intense open-plan office, professional development session, and a lunch out with new friends. 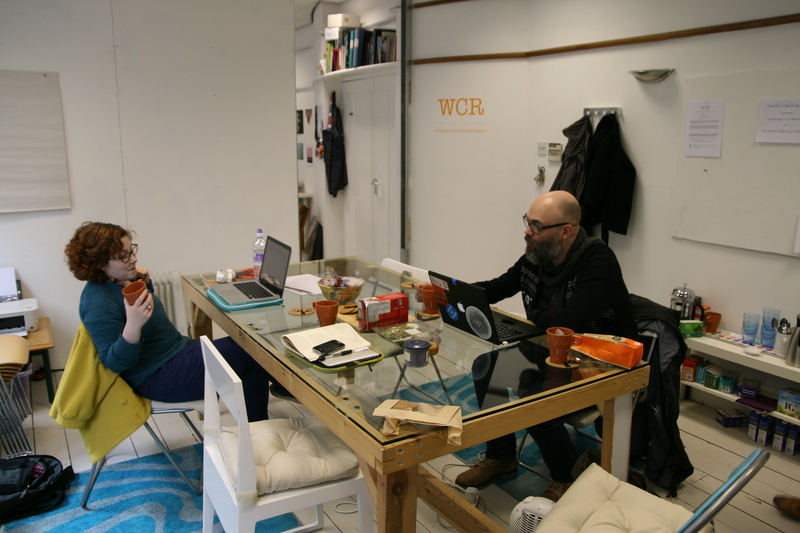 In just a few days, Working Culture Residency is not only offering a home for and investigating the working culture of the culture sector, but is creating its own sub-culture that I am delighted to be part of. “There needs to be more projects like this” has been said several times over the course of this week. So what is it about this project that we need more of? I’m sure I’ll get more of a clear picture as time goes on, but from the outset it is abundantly apparent that we in the sector need more opportunities to interact than simply attending openings of exhibitions together. We need more than to “like” one another on Facebook. We need more than emailed “we should get together”s. From the conversations that have taken place, the breadth of experience and talent of the participants – we just need to be in the same room and suddenly possibilities are endless! I’m chomping at the bit for Week 2! This was a comment from one of yesterday’s participants. I thought it completely summed up the experience of WCR’s first day in operation. As with any experiment, you never quite know how it is going to go. 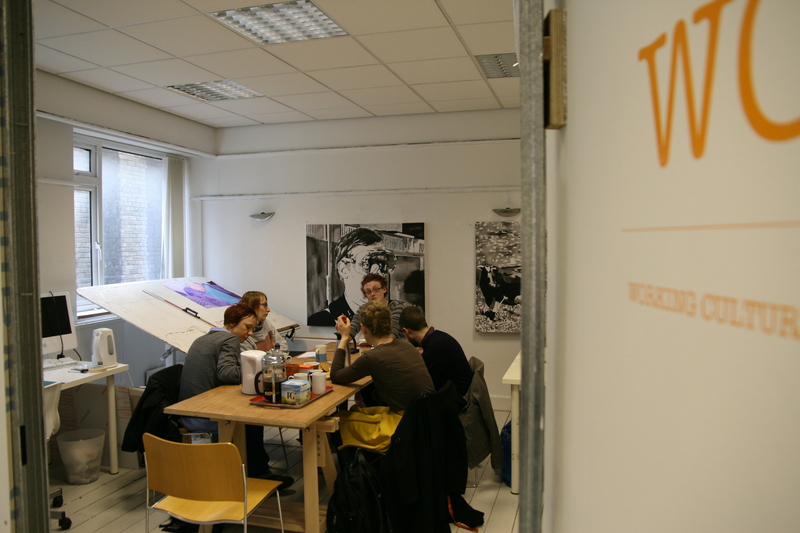 What happens when you bring strangers together to work in a new space and have a chat? If yesterday is any indication, the answer is: a lot. 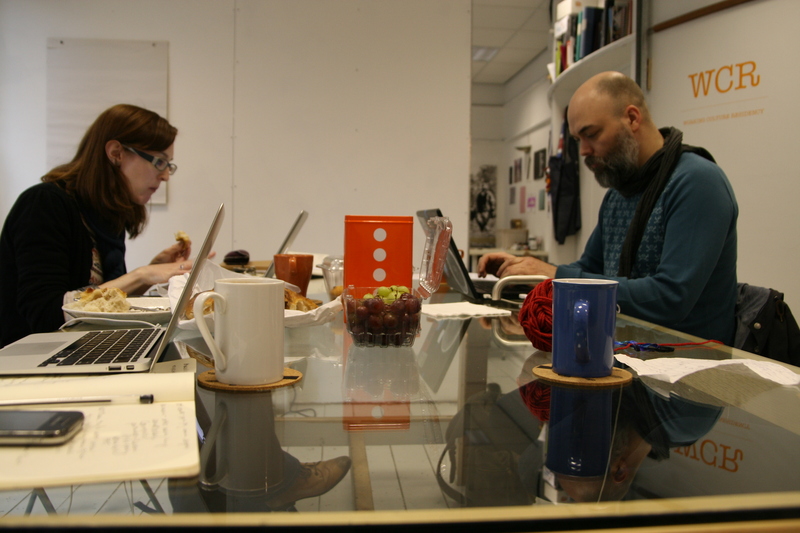 In addition to putting our noses to the grindstone on our individual work, we engaged in dialogue covering: digital knitting machines, laser cutters, citizen science, portable cinemas, friends’ new babies, psychogeography, amazing and fanciful journal article titles, upcoming opportunities to check out, art-science explorations in the North East, science fiction, the use of organisation’s space. These insights into our personal and professional interests shed light on the breadth of experience and passions we have to share. This all seemed quite timely as the beginning of this project coincided with an email I received from an artist concerned about artists working for free and wanting more transparency with how projects are financed. The culture industry is so vast and complex, that I don’t think any one way of producing or exchanging could possibly apply to the sector at large. Some questions I am hoping to raise through the Working Culture Residency project delve into how the culture industry operates, and what drives those of us working within it. 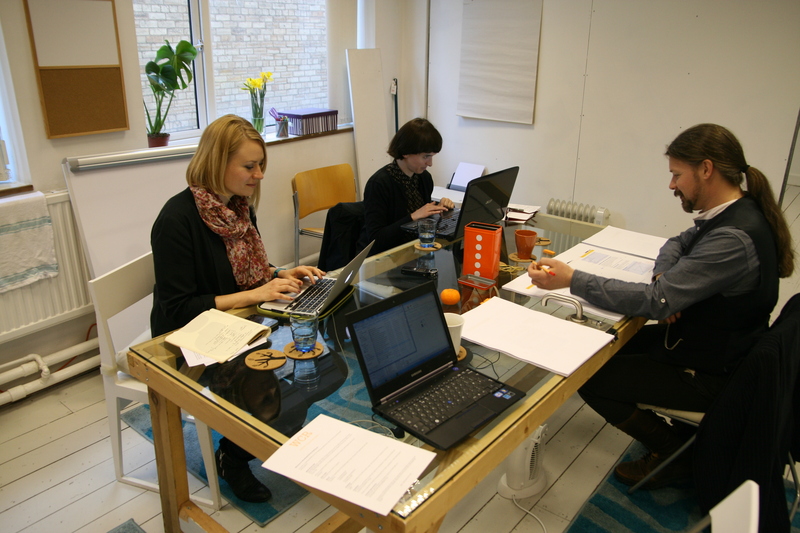 The project specifically casts a wide net, inviting members from all different aspects of the region’s culture sector. 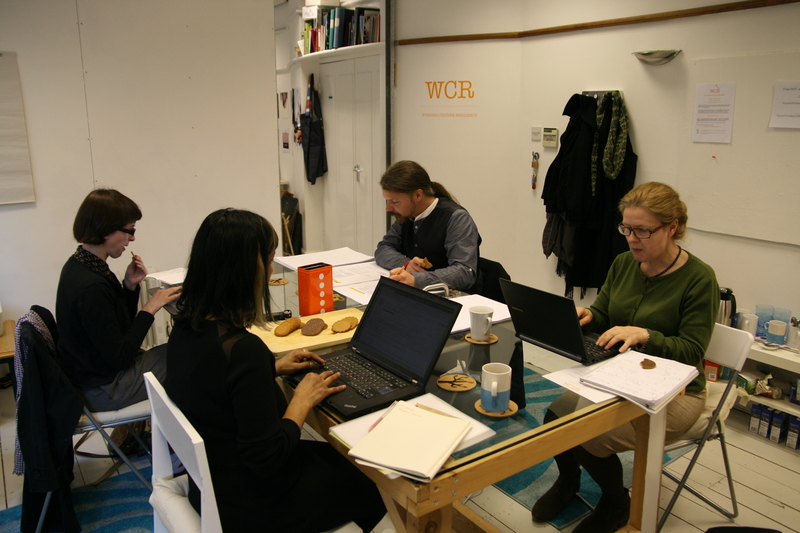 Rather than focusing on recruiting participants from the visual arts, WCR aims to bring the visual arts together with writers, funders, translators, opera producers, citizen scientists, etc. In doing so, the project investigates the many and complex ways in which individuals contribute to cultural production, how we value our contributions, and what our responsibilities are to the sector. What are the alternative exchange systems within the culture sector that exist outside the traditional economy? How can these systems serve as models for other sectors? 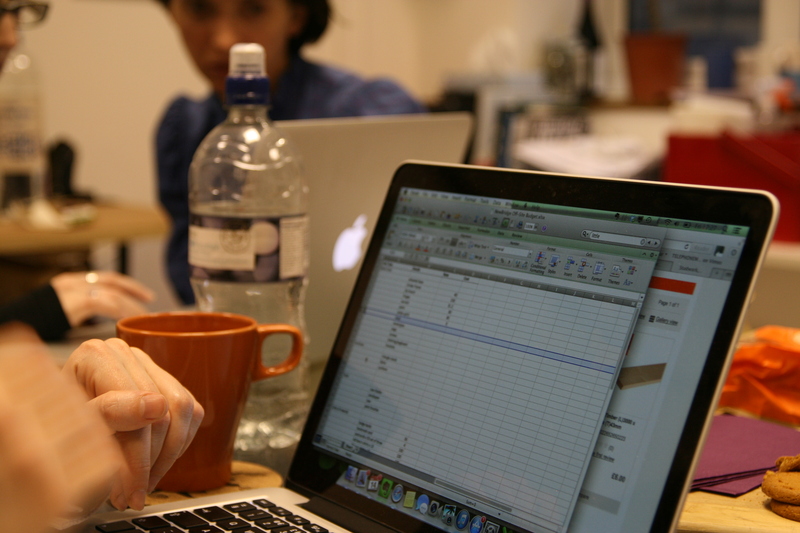 How can other disciplines’ systems serve as models for the culture sector? These are certainly big questions, but the only way I can see to begin chipping away at them is by inviting people to join me in doing our work around the repurposed glass door table in my studio space, having a coffee and a chat. Our door is now open! Tinker, Tailor, Grant Application Maker.. 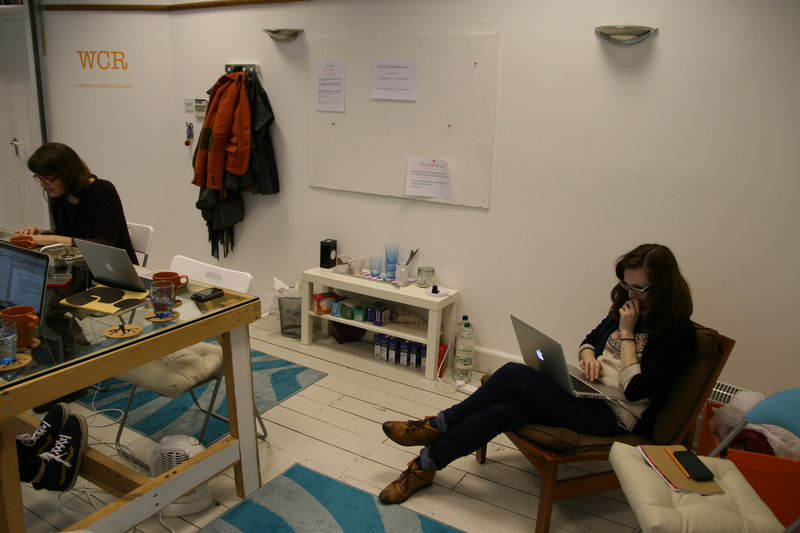 Whether you are an artist, administrator, local officer, or freelancer, Working Culture Residency is excited to welcome you to our hot desk studio setting. 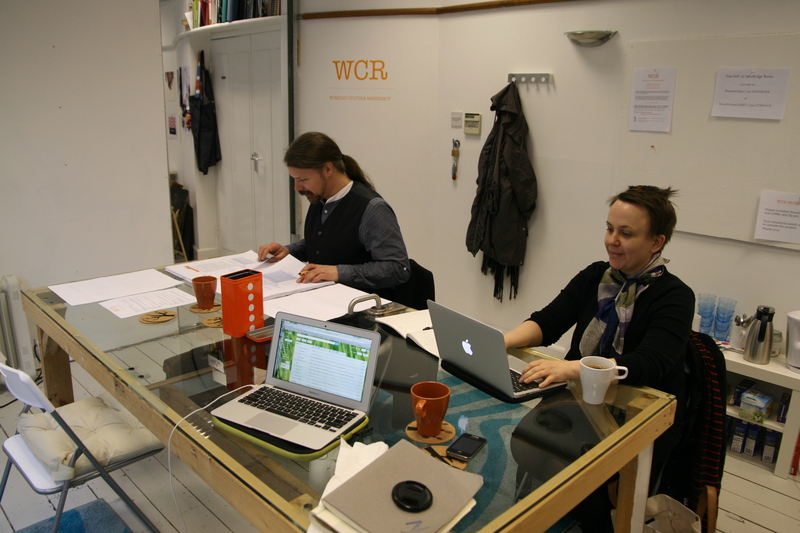 WCR is designed to meet the current working needs of culture sector professionals by providing a much-needed space to work in a vibrant and creative environment. The project also aims to facilitate dialogue, collaboration and understanding amongst the various factors and aspects involved in the sector. Spaces are completely free and available on a regular or one-time basis.